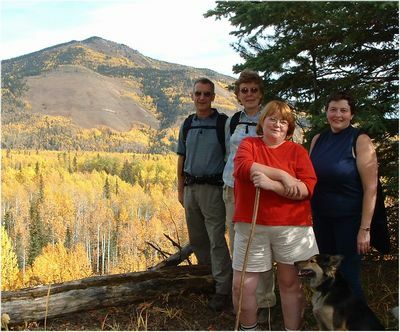 The Black Cat Ranch is an ideal location for those who are interested in hiking. We have many kilometers of marked hiking trails starting from the lodge and heading into the hills and mountains surrounding the ranch. We can offer anything from easy 1/2 hour strolls to moderately demanding day hikes. We can provide guides on request. 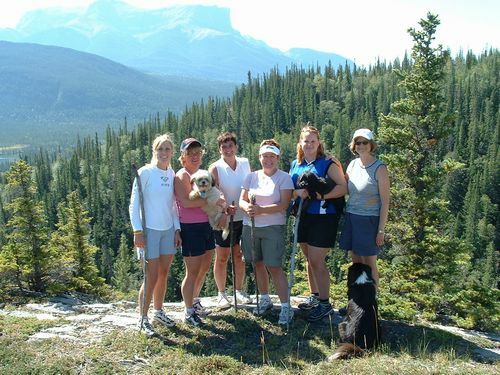 If you are interested in longer hikes, we can recommend some excellent locations in the Jasper region. Check out our Day Hikes page for more information on hiking options while staying at the Black Cat. This is one of our favorite local sites. Ogre Creek is a beautiful mountain stream that plunges into a rocky cleft in a series of waterfalls. Explore this stunning canyon from bottom to top. This is a moderately demanding day hike with a 100m (300ft) climb. 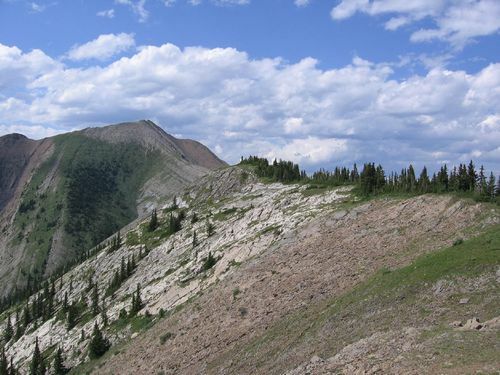 Join us for a guided hike to the spectacular Cardinal Divide. This is an easy hike up the south side of the ridge. The divide stretches across the landscape like a huge frozen wave. The view from the top overlooks the site of the Cheviot Mine. Come see why this project has created so much controversy. 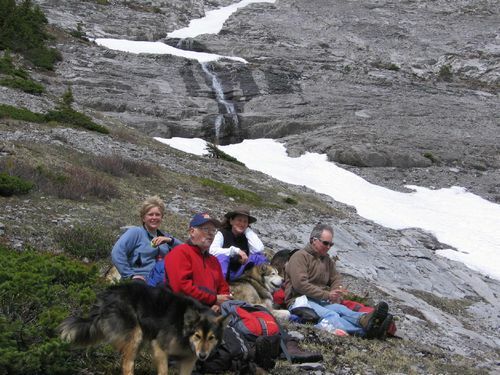 Located west of Cadomin, along Whitehorse Creek, this moderate day hike takes us into the sub-alpine region. See the forces of water at work. This area has many fossils and interesting rock formations. This demanding hike takes you to spectacular views overlooking the Rock Lake area and the south end of Wilmore Wilderness Park. If you would be interested in a custom designed hiking vacation, with daily guided hikes tailored to your interests and abilities, please contact us. 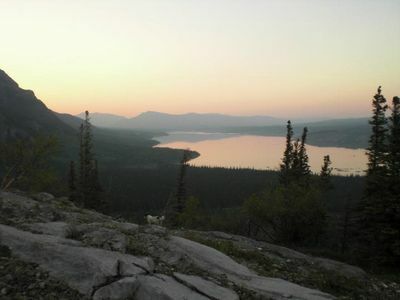 We know many great trails from short strolls to demanding all day back-country treks.